This research project carries out a comparative study of the Hibernian Catch Club for the period 1797-1805 and 1897-1905, and seeks to catalogue the contents of the society’s music collection for publication on the RISM Ireland online database. To date 68 items (8 volumes; some of which have been retrospectively bound, and which collectively contain a total of 60 music publications) have been catalogued and are available to view on www.rism-ie.org. Almost 180 years of the Club’s history is recorded in the archives extant in Marsh’s Library, Dublin. 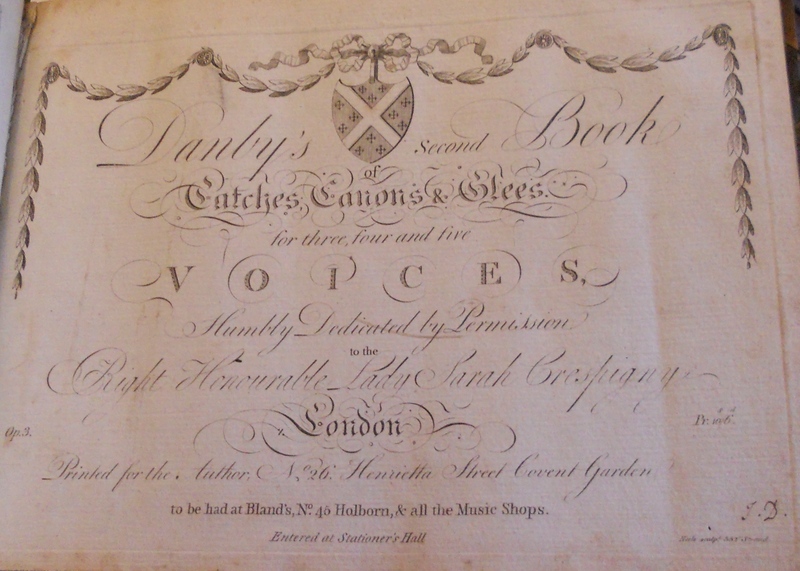 Surviving records and sources include minute books, programmes, miscellaneous papers, dinner lists, membership lists and hundreds of items of sheet music, both manuscript and printed. This project contributes to knowledge of amateur music making in Dublin at the turn of the nineteenth and twentieth centuries, music publishing and the dissemination of vocal repertory.